Ingesting carbs before a workout and extra protein afterward provides the basic materials that your body needs for adapting to the demands of your chosen activity. Pre workout carbohydrates help ensure that your body has what it needs for rising to the challenge, and making the most of your workout. Post workout dietary protein provides raw materials that drive recovery processes in between each workout session, and helps you realize the fruits of your labor. Glucose is the primary fuel for all the cells in your body. 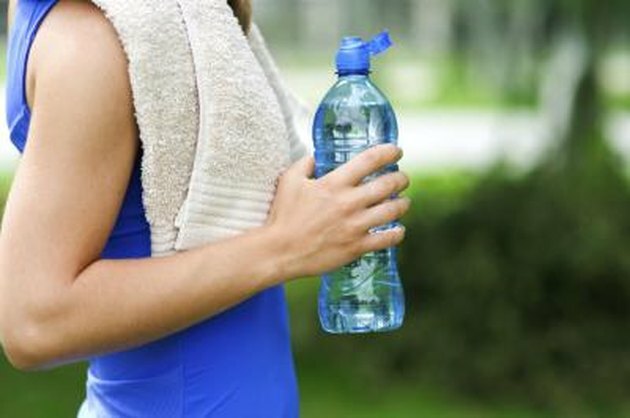 Ingesting carbohydrates before a workout triggers the insulin response that your body needs to use glucose for energy. Your body releases insulin when you eat carbohydrates, and insulin carries glucose into the cells. Ingesting carbohydrates before a workout also replenishes glycogen stores, which provides muscle energy during your workout. The average adult body can store a total of approximately 500 grams of carbohydrates in the form of blood glucose and glycogen. 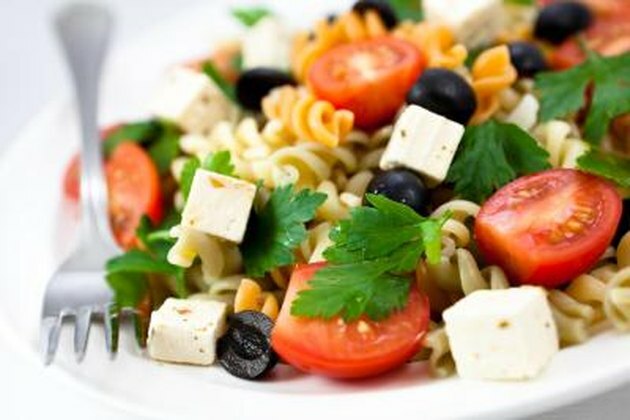 Feed your body a continual supply of carbohydrates all day, and leading up to your workout. The ideal sources of carbohydrates that you eat before activity depends on how much time you have until your workout. Eat a meal that has between 250 and 500 calories from carbohydrates three to four hours before exercise. Include complex carbohydrates, such as grains, starches and vegetables -- and foods with simple carbohydrates, like fruits and dairy products. Ingest a carb-rich liquid meal, such as a meal-replacement shake, two to three hours before exercise. 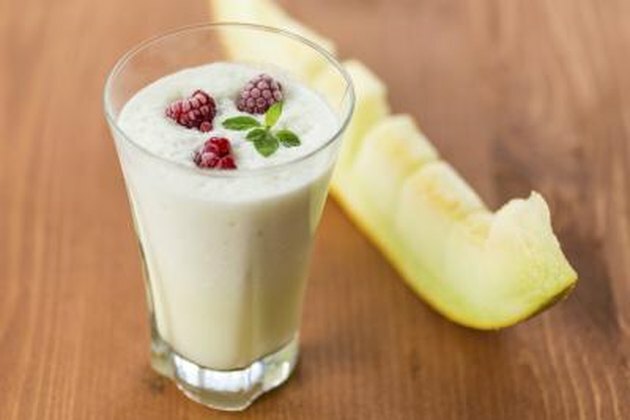 And drink a high-carb beverage that does not have protein or fat, such as a low-fat smoothie or fruit juice, one to two hours before exercise. In addition to your continuing need for carbohydrates to fuel your body, you need to add extra dietary protein after a workout to repair cells and make new ones. Your body breaks down the protein that you eat into amino acids, which are used for repairing tissue damage that occurs during your workout. Workouts deplete cellular catalysis, which drive life-sustaining processes in your cells. Your muscles would not work without cellular catalysts, and ingesting protein after your workout replenishes these essential components. Ingesting protein after your workout also supplies amino acids that you need for building new muscle tissue. If you don't eat enough protein and carbohydrates after your workout, you will lose muscle tissue, because your body breaks down its own muscle proteins unless you provide sufficient nutrients in your diet. 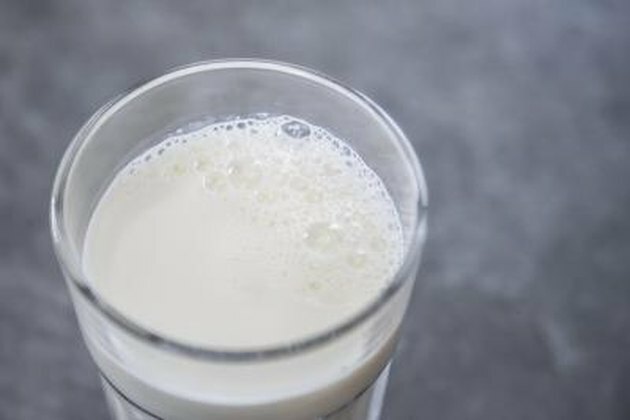 Immediately after your workout, ingest a liquid source of protein that contains complete proteins, such as whole milk or a protein shake. Liquid forms of protein prevent muscle wasting, because they digest easily and deliver amino acids to your muscles quickly. Complete proteins only exist naturally in animal foods, such as dairy, meats and eggs. Protein shakes made from whey also contain complete proteins. You can get complete proteins by combining grains and legumes, grains and nuts or legumes and nuts. Ingest some form of complete protein every three to four hours after your workout. You need between 0.9 and 1.6 grams of protein per 2 pounds of body weight every day depending on workout intensity. National Federation of Personal Trainers: Fitness Trainer Manual; Mark P. Kelly, Ph.D., et.al.